Bone Density is an imaging exam for detecting bone loss. 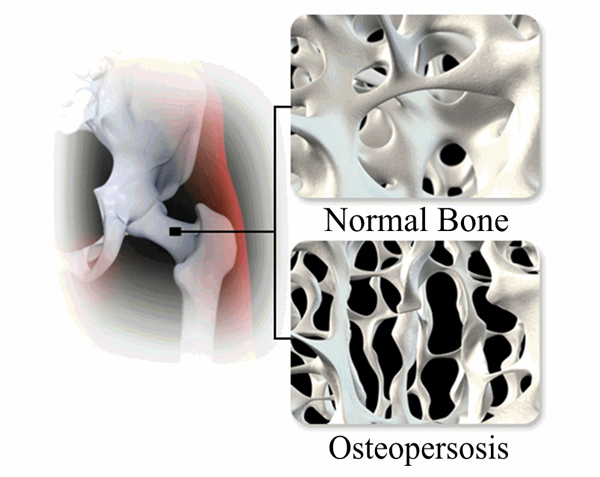 Osteoporosis is a condition characterized by the progressive loss of bone density and thinning of bone tissue. This scan is a painless, non-invasive test that uses extremely low dose radiation. Scans of your lower back, hip or forearm are most often taken. You will be asked to lie on a table with your lower legs raised on a cushion. A scanner arm will be above you. This arm will move back and forth over the part of the body being scanned. This test takes just 15 to 30 minutes. Your doctor will contact you with results.